Let’s overreact to the Orioles draft pick! It’s safe to say we know what kind of team we are dealing with by now. A trip to a Korean barbecue restaurant in Chicago made the center fielder think of his old teammate. Have you ever found yourself listening to a podcast and saying “I wonder what these guys look like?” SAME! Are the Orioles trying to break Dylan Bundy? Baltimore’s “ace” threw 121 pitches in a complete game win over the White Sox on Thursday afternoon. The Hall of Fame pitcher dished out some harsh criticism on the Orioles struggling first basemen. The thing is, it was totally deserved. How do you solve a problem like Chris Davis? The Orioles slugger may be the worst hitter in Major League Baseball at the moment. If you don’t laugh, you’ll cry. So, you might as well laugh at the Baltimore pitchers. The former Orioles great had some trouble with the lumber on Friday. This Orioles team is bad. Like, really, really bad. But their manager is still kind of awesome. Who cares that Adam Jones bought a house? The Orioles center fielder made a big purchase that has the Baltimore faithful in a tizzy. In case you hadn’t heard, there’s been some drama on the internet. Last month, Jesse sent an excited text message. Need to give us a piece of your mind? Perfect. 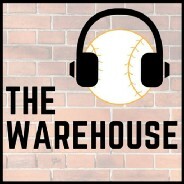 The Warehouse is a weekly podcast about the Baltimore Orioles. There’s no hiding the fact that this has been a difficult season in Baltimore.